April | 2016 | 50 Westerns From The 50s. 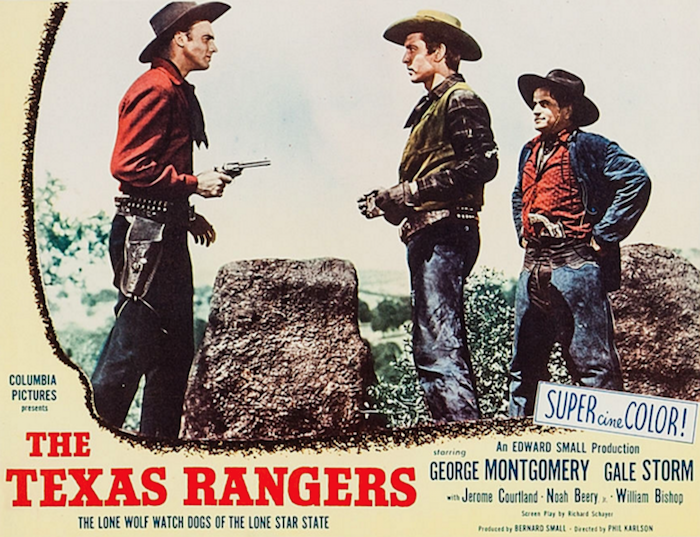 Screening: The Texas Rangers (1951). Raleigh’s Western Film Preservation Society has been at it since 1981, and their meeting this month features two of my favorites Western stars. First up is Tim Holt in The Fargo Kid (1940). The second feature is Phil Karlson’s The Texas Rangers (1951), starring George Montgomery, Gale Storm and Noah Beery. It’s the 21st (that’s tomorrow, sorry for the short notice) at 6:45 at North Carolina State University’s McKimmon Center. 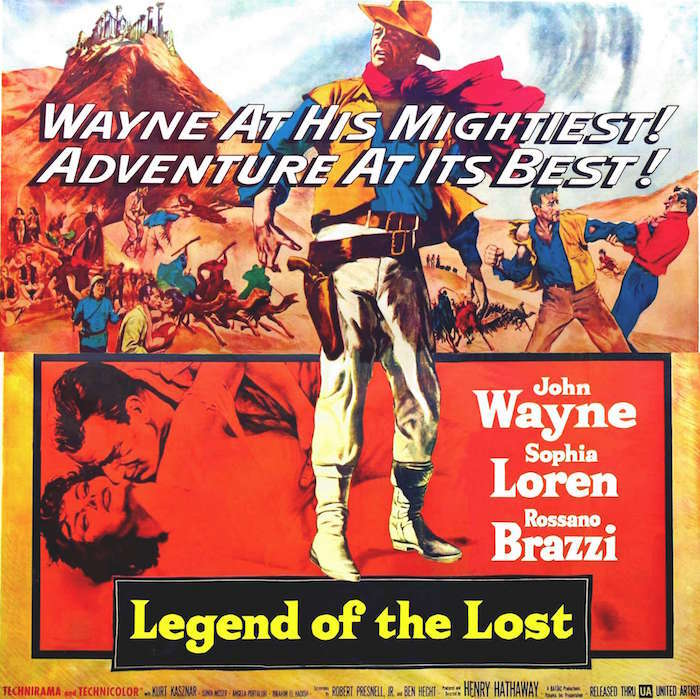 50s Westerns Blu-ray News #211: Legend Of The Lost (1957). Legend Of The Lost (1957) isn’t a Western, and it can’t hold a candle to some of the other pictures Wayne made with Henry Hathaway. But it’s certainly big and it was shot by Jack Cardiff in Technicolor and Technirama, so it should make for a great Blu-ray. And it’s coming from Olive Films in May. Baseball’s Back. And So Is Jack. 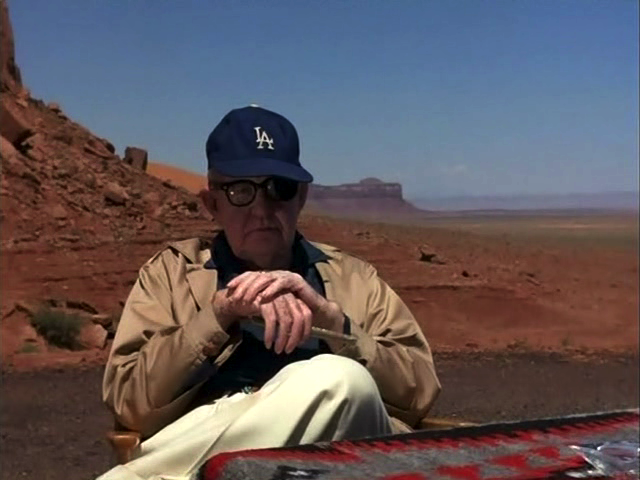 I just love this photo of John Ford sitting in Monument Valley in his Dodgers cap. When I posted it last year to mark the start of the baseball season, I decided it was going to become a tradition around here. The Dodgers don’t play their first regular-season home game till April 12th, and I ain’t waiting that long. Go Dodgers!